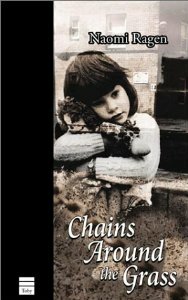 Chains Around the Grass, by Naomi Ragen, is a novel that is about family dynamics, expectations, resilience and so much more. The book opens in Queens, New York, and it is 1955. From that point forward, the underlying context of the story line goes downhill. It is a depressing read, within the less than desirable confines of the low-income housing projects. David Markowitz is a Jew who has done what so many other Jews have done in the past, given up his Jewish identity and assimilated into the folds of America. He changed his son’s surname to Marks. He has high hopes of making it big in a world filled with schemers and dreamers. Capitalistic mores and values are strong within the pages. They overtake the social aspects of identity and culture, creating realities that family members don’t want to face. The “American Dream” turns into a constant nightmare for the Markowitz family. David’s wife Ruth and their three children become the victims of poverty. In David’s mind the children become the scapegoats of dreams that have turned to nightmares. And his children are victimized as their innocence is broken at too young an age. David’s wife passively allows him to be the decisive one in the family, making all of the decisions, even though she doesn’t always agree with them. As hard as he tries to move his family out of poverty and out of the less than desirable living conditions they find themselves in, he fails. He tries to sound optimistic and speaks in a positive tone, often too loudly, hoping against hope that they will be happy in their environment. David feels that with each move they have managed to somehow move up in status, when in actuality they have been bumped down several notches. This reflects in the attitudes of his children, and how they adjust to, and accept, their new surroundings. They see the truth behind the superficial attempts David makes at overplaying the situations he has put them in. Eventually David begins to see the reality, but it comes at a time when it is too late. The “chains” are metaphorical for not only the reality of their oppressive existence, but also for the emotional levels that keep each of them bound in a regressed state, unable to move forward. One area of the novel that is filled with clarity is David’s daughter, Sara’s eagerness to accept and find fulfillment in education and Judaism. She finds a sense of comfort within the Jewish day school, whereas her brother, Jesse is the opposite. He forsakes education and religion, and in the end is filled with self-hate, which shows in his destructive behavior and interactions. Sara begins to value herself, and her self-esteem is slowly enhanced by her religious and educational pursuits. Ragen is adept at reflecting the individual mindsets within the family interactions, the situations and the devastating events. What I found a bit lacking in Chains Around the Grass was the fact that the characters didn’t seem to have much substance to them. But, of course, that all ties in with the extreme euphoria that David often projected, and superficial aspect behind the enhanced exterior presented to others. It also makes sense in the scheme of things with Ruth and her passiveness, due to his overbearing behavior which masks his underlying insecurities. Ragen writes with her usual flair, enhancing the theme of Jewish illuminations within an environment of despair. She tries to weave a sense of hope within the prose, and sometimes it works, and at other times it doesn’t within the chapters of Chains Around the Grass. It is not a happy read, but a sad one, and I feel that the inspiration that Ragen might have wanted the reader to come away with left this reader without hopeful glimmers during many of the passages within the pages. Of course, this could be intentional on her part, due to the themes of the demeaning and debilitating circumstances of lives that are filled with adversity and poverty, lives that often do not have hope. She more than likely wanted to underscore the severity of their lives. Naomi Ragen is brilliant at writing and creating stories of despair. Within the slow-moving pages I began to recognize the slow-paced emotional and logical development of Sara, and even her mother, Ruth. Many may not like Chains Around the Grass, due to its slowness and/or often depressive content. If you stay with the book, there will be illumination, although it is often slight, nonetheless, it is illumination that radiates hope. A Mind of Winter, by Shira Nayman, is a novel centered on three characters post World War II. Each brings their own set of circumstances, personalities (or lack, thereof) to the story line. There is Oscar, a millionaire with a mysterious background. Christine is his former lover, and left him to test the waters in Shanghai. Once there, she manages to get involved in drugs and prostitution. Marilyn, on the other hand is a war photographer who is suffering the repercussions of all she has witnessed. I found the characters lacking in depth, with lackluster personalities. I found that I was forcing myself to read further on, hoping for a change, hoping for less burdensome descriptions, and hoping for some glints of light. Unfortunately, minute clips of explanations were not enough to hold my interest, and I did not finish the novel. Rather than continue on being bored with the story and not caring about the characters, I chose to let the book go. This is quite unusual for me, and I can count on one hand how many times I have done that in my decades of reading fiction and non-fiction. I read Shira Nayman’s book of stories, Awake in the Dark, and enjoyed it, and was eager to read this book, based on my enjoyment of the other. I am sad to say that I had to put it down and let it go. Soul to Soul: Writings From Dark Places, is, in my opinion, a compelling read regarding the journey one takes from learning about illness to acceptance of it and the repercussions it has on one’s self. Deborah Masel does not mince words in describing her journey upon learning she has metastatic breast cancer. It took her almost three years to write her book, a book filled with so many emotions, within the backbone of logic that is often ignored or put aside. Her descriptions of her thoughts and feelings and roller coaster of emotions is vividly described within the pages. Acceptance is difficult, and unwanted. Religion is the glue that helped her stay focused. Her struggles brought upon by her illness heightened her religious foundation through her readings of the Torah scholar Kalonymus Kalman Shapira. Although he was murdered during the Holaocaust, he became her mentor. She thrived on his words, words of strength, commitment and encouragement. His words brought her comfort during times of extreme distress, while trying to manage and deal with her illness. I read Soul to Soul in one sitting. I could not put the book down. Aside from the haunting images of how her cancer affected her, I found the book to be an intriguing and fascinating read regarding her combining cancer with her Jewish ideals. Masel’s words touched me in many aspects, in part due to the fact that my mother had Stage IV metastatic breast cancer, so I could empathize to Masel’s story, as a family member of one who had the same illness. I highly recommend this book for many reasons, including its inspirational content. Masel’s writing is forthright and filled with the struggles one endures while trying to accept a disease that has taken over her body. Soul to Soul: Writings From Dark Places is a legacy to those who are suffering illnesses that may or may not be terminal. It is a gift to the families and friends of those who are suffering or have suffered. It is Deborah Masel’s legacy to her Jewish identity and to her mentor, who was instrumental in guiding her spiritually through the most difficult and toughest of times. The Retrospective, by A.B. Yehoshua is a novel filled with multi-layered retrospectives within an overall retrospective, or retrospective of the whole. It concerns an aging film director named Yair Moses, who has traveled to Santiago from Israel to be honored by a retrospective of his earlier works. By multi-layered retrospective, I mean that there is more than one retrospective within the pages, aside from the one honoring the director. Ruth, an aging actress who starred in his earlier works, has accompanied him to Santiago. They have been together since she was a young ingenue, and Yair’s movies have revolved around her beauty, sensuality and sexual appeal. She has not only been his lover through the decades, but also the prime reason for his success at film directing. When the two of them enter their hotel room, Yair is enthralled with a painting, and eventually finds out that it is entitled “Caritas Romana” or “Roman Charity”, based on a Roman legend. While watching his older films, the ones chosen for the retrospective, he does not seem to remember certain scenes in the films and why he chose to direct them in the fashion he did. It is as if he directed them by rote, or in a state of disinterest. The films are quite avant-garde and filled with trendy themes, and scenes evoking drama, sexuality, enhancing Ruth’s appeal to the audience. The cinematographer, Toledano, would have liked Yair to direct in a different fashion, but Yair refused to listen to Toledano’s suggestions, and his ego overtook the creative aspect. Toledano could not comprehend this rejection of his artistic and creative cinematographic ideas and skills. Along with his lack of being accepted for his ideas, Trigano, the screenwriter, has the same issues with Yair. He can not please Yair, and must change the script several times in order to suit Yair’s vison. Yair lacks insight into the creative aspect that both Toledano and Trigano want to proceed with. They wanted to use surrealism within their frames, and wanted the film to evoke a sense of visual vividness with modern methods in cinematography through the use of the illuminations within the pages of the script. In their final film with Yair, the two of them end their relationships with Yair, and thereafter, are estranged from him. Yair reflects back, not only on his early films, but also his interactions with Ruth, with Toledano and with Trigano. He also reflects on his film directing during that time period, and reflects on his recent modern day films. He compares and contrasts, not only on what drove him to make the choices he did, but also reflects on Ruth, and how his use of her in his films was successful. He ponders how he knowingly used her, both in film and in sexual matters, in an uncaring attitude. She was there, was willing, and for him, the lack of commitment was what he desired. To make a longish book review, shorter (which is almost impossible for me), Yair eventually returns to Israel and meets with Trigano, trying to form a peace between the two of them. It is conditional peace, though, as far as Trigano is concerned. And, I will go no further than that, in explaining. Meanwhile, the screenwriter views Yair as a directorial failure, a man of no vision and daring, a director who is stuck in his methods, afraid to venture forth. with new ideas. Their rift is composed of more than just film creativity, as Trigano is of Sephardic descent, and Yair is of Ashkenazi descent. Their blending of values, ideals, religious tradition, etc., speaks more of their conflict than of film direction and scripts. 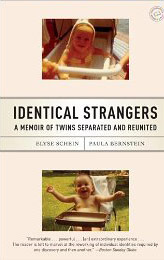 It also is an underlying theme, regarding society as a whole, and how the borders of bonding have splintered between the Ashkenazi Jews and the Sephardic Jews. Along with that underlying theme, is the one regarding the current and continual Arab-Israeli conflict. Yehoshua normally inputs Israeli conflicts within his works, and in The Retrospective, Yehoshua brilliantly illuminates not only that, but also the diversity of the Jewish population in regards to origins. This diversity has fostered turmoil, societal wars, and traditional inequality, viewed from one’s particular perspective. And, within the pages of The Retrospective, there is an underlying retrospective on that theme, itself, as seen through the eyes of Yair, Trigano and Toledano. The reader is taken on a journey through the decades through their perspectives. Pain, love and loss, and achievement are primary factors that are vividly depicted, as aging characters reflect on their lives. Yehoshua has given the reader a sharp and concise look at characters that are realized, through an insightful character studies. The end of the book will more than likely be a surprise to most readers. I more or less thought that Yehoshua would end it in this fashion, as hints of it run through the pages. The ending did not disappoint me. It was pure Yehoshua in style, never lacking dimension. His novels never fail to disappoint me, and Retrospective is no different. I found it to be a masterful blend of differing and diverse ideals, visions, religiosity, traditions, societal conflicts, etc., all illuminated within a multifaceted set of retrospectives. A. B. Yehoshua’s The Retrospective is the work of a master story teller. It is the work of a man who has dedicated his life to educating the reader regarding the inner conflicts within Israel, conflicts within the Jewish community itself, and conflicts between the Jews and Arabs. Those underlying themes run from beginning to end, within the pages of Retrospective. They bring the reader much to ponder within the realm of a retrospective on decades of conflicts within societal and religious mores and acceptances within Israel. From film retrospectives to religious and societal retrospectives, to aging individuals’ retrospectives, the pages are infused with vivid word-images and reflections. I enjoyed The Retrospective on so many levels, not just the varied retrospective aspects, but also for the creative nuances, depictions, societal influences, and so much more. 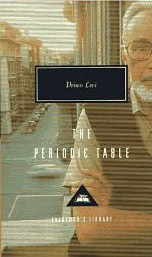 The Periodic Table is a well-written book, giving us insight into the scientific mind, thoughts and emotions of its author, Primo Levi. The book is basically a memoir, and the 21 stories are written through the perspective of a chemist and also through the perspective of a writer. Chemistry and writing were the two primary passions of Levi. Thus begins the book, and each of the 21 stories are named for a chemical element in the Periodic Table (not to be confused with the Title of the book). The actual Periodic Table contains 118 elements. After finishing The Periodic Table, one might assume that it is a book that was written about the Holocaust. The primary structure of the book (including the opening lines), has an undertone of the Holocaust within its pages, as it was of extreme importance to Levi to bear witness. If one pays attention to the titles of the individual stories, it is obvious the Holocaust has an important “between-the-lines” synthesis tying the stories together, subtly, without being mentioned outright. The element of Fascism has strong overtones in the book. Levi is astutely cognizant of the fact that many Italian Jews grasped Fascism, without realizing its consequences. A large percentage of these Jews were not “practicing Jews”, and were assimilated within the Italian culture, ignorant of the possible outcome their choices would inflict on them and their families. The main reflection in Levi’s book is the growth of Levi from his childhood and chemical experimenting with a friend, attending a university where Levi studied chemistry and experimented in university labs, and to finally graduating and becoming a chemist by profession. He also become a well-known author of novels and poetry, mingling his scientific mind with poetic emotions, creating chemistry and chemical reactions of his own, in written form. Each element in the book coincides with a time period of Levi’s life, and we see him move through prewar Fascism to World War II where he was sent to Auschwitz. His brilliance in formulating this book and its structure has amazed me. I don’t know what I was expecting, but I was not disappointed, and in fact, I was in awe of Primo Levi as an author, in extremely impressed with his ability to blend chemistry and prose and create such a compelling book. After finishing The Periodic Table, I wanted to read more of his works, especially his poetry, and I have done just that. Irene Nemirovsky’s books speak to me on several levels. Each one is unique, yet similar, as she delved into community, family dynamics, society and culture, the working class and the wealthy, and the ravages of war. I own several of her books, and look for others to eventually become published in English. When one does I buy it. The Misunderstanding, her first novel, will be published in August.